A productivity app that focuses your day to achieve more. Its elegant dashboard combines chat, video, to-do lists, team hubs and file sharing. Modern work is hectic. We’d like to spend less time managing it. With Brief, there’s a better way to get things done. We all know it takes a great deal of focus and multi-tasking just to stay on top of our to-do lists, communications and file sharing. Wouldn’t it be great if it were all in one place? By combining chats, tasks & file sharing, Brief lets you stay focused on the things that matter, both personally and professionally. 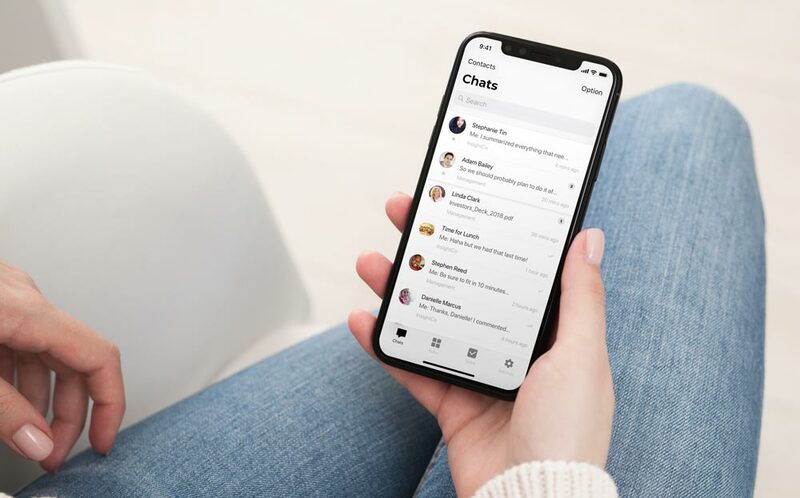 A fully-featured chat messenger for one-on-one’s and group chats, replacing the need for team-based emails. Simple, intuitive task manager lets you turn any message into a task, assign to a teammate or the entire team. Easily share, find and collaborate on files with your team members. Shared workspaces we call Hubs to organize your teams and projects as you like. Premium “Zoom” powered Video Chat lets your team meet anywhere, on the go. We’re all tired of writing daily emails to our teams and clients. Move faster with chat messaging to finally replace email. With chats, tasks & files in one place, Brief helps you put an end to long-winded work emails and move faster with chat messaging for work. To-do list apps tend to have too many options, and ironically require too much time to manage. Brief’s task manager is clutter-free and intuitive—no complex menus, just what you need get in control of your priorities. With Brief, there’s no need to dropbox large files or email PDFs again. Now you can share your files and media right within a chat. Best of all, your shared files, links and media are automatically saved and organized for easy finding when you need them. Brief’s one-click video chat makes it easy to meet your teams, partners and clients overseas from the comfort of your desk, or even on-the-go with your mobile device. Open a chat and click the phone icon, then choose “Video Call” or “Audio Call”. Collaborate with teams anytime, anywhere. Instantly syncs across all devices, so you can go from mobile, tablet, desktop or browser without missing a beat. Don’t work in a team? Freelancers use Brief with clients too. Only Brief combines the best of chat messaging with task management, and simplifies it. Get your team on Brief in no time.